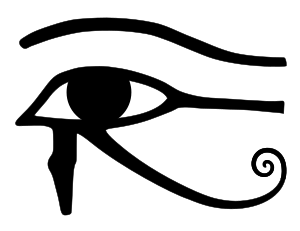 Main Characters: Carter Kane, Sadie Kane, Julius Kane, Amos, Zia, Iskander, Isis, Bast, Horus, Set, Nephthys, Khufu, Thoth, Anubis, Osiris, Desjardins, Apophis and Ra. Description of one the main characters: Julius Kane is a brilliant scientist. He is also a magician of the House of life. He is from the ancient blood of pharohs. He tries to bring back Osiris, but unfortunately brings back all the five major Gods of Egypt including the Set, the evil God of chaos. Set, imprisons Orisis and Julius Kane, in a golden coffin. Whom I like and why: I like Bast very much. She protects Sadie and Carter when they go on a quest to the old Egyptian king. Bast had fought Apophis when she was younger. She was imprisoned with Apophis, the evil, so that she could always fight him and keep him away from the mortal world. Setting/Theme of the story: When Sadie, Carter and their father Julius Kane go on a outing to the British museum Julius Kane blows up the old Rosetta stone in the museum and unleashes the five Gods of Egypt including Set, the evil God of chaos. Set traps Julius with Osiris in a golden coffin. Sadie and Carter flee for their lives. They meet their uncle, Amos, and stays with him in the House of Life, Twenty-first Nome in Brooklyn. Muffin turns into Bast, the Goddess of Cats, who protects the two children in their terrifying quest to save their father. During the quest they visit the first Nome where Iskander teaches them some magic. They become friends with Zia. Then, suddenly Iskander dies and Desjardins wants to kill Sadie and Carter. Zia help them escape. Finally Sadie and Carter understands that they are hosts of Horus and Isis. They fight Set and free Osiris. Their father becomes the host of Osiris. They go back to the twenty-first Nome in Brooklyn. Part I enjoyed the most: I enjoyed the part when Sadie and Carter make Set swear that he will help them and the other Gods. They also make him swear that he will not trouble the mortals. He is sent ack into the Duat, the residence of Gods.